Rare development opportunity! 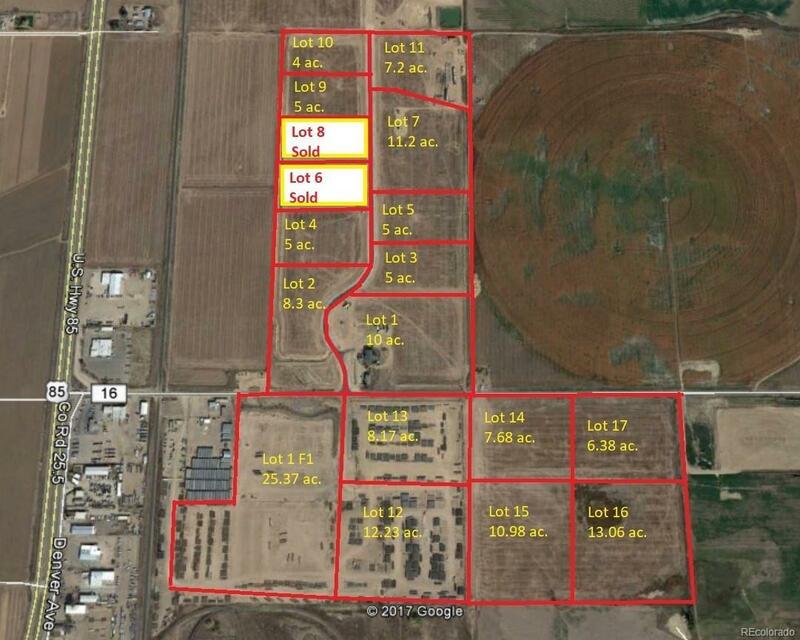 Flex/Industrial development sites just north of Ft Lupton with visibility and easy access from Hwy 85. Ready for vertical construction and rail spur available as an option on selected lots. 16 lots available ranging in size from 4.0 acres to just over 25 acres. Prices range from $2.75/s.f. to $3.50/s.f. Perfect for oil field services, distribution, light manufacturing with P.U.D. zoning that allows for outside storage yards. Dont miss out on this amazing opportunity. "